I'm not one to sacrifice dessert when the craving hits. We only get one life to eat dessert, right?! Even better when the dessert is not only sweet, delicious, and satisfying, but HEALTHY. Like....totally healthy. Nutritious, clean, low calorie... that kind of healthy. These roasted plums fit the bill. A good friend of mine called me specifically to let me know about this "recipe." 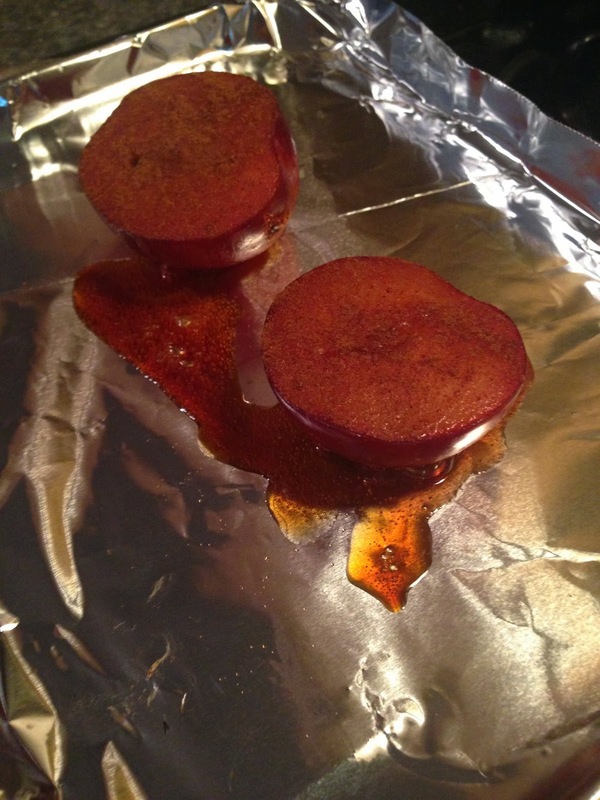 The recipe was simple: roast plums. Eat. She said I had to try it, that they are so surprisingly delicious that I just might fall in love and want to blog about it afterwards. She was right! I spiced it up a bit by coating the plums in cinnamon and drizzling them with honey before roasting them, then topping them with plain greek yogurt and toasted sliced almonds afterwards. Amazing. If you can't tell, this is a cookie dough ice cream sundae filled with pieces of brownies AND blondies, caramel, hot fudge, and whipped cream. I only shared a couple of bites with Ryan. And it was amazing. He took me to Woodberry Kitchen for my birthday, and it was one of the best restaurant experiences I've had EVER. For one thing, their food is wonderful: all local, sustainable, organic. Farm to table. Unique and full of flavor. Then, there's the actual restaurant. The architecture is super cool and the ambiance is comforting and charming. 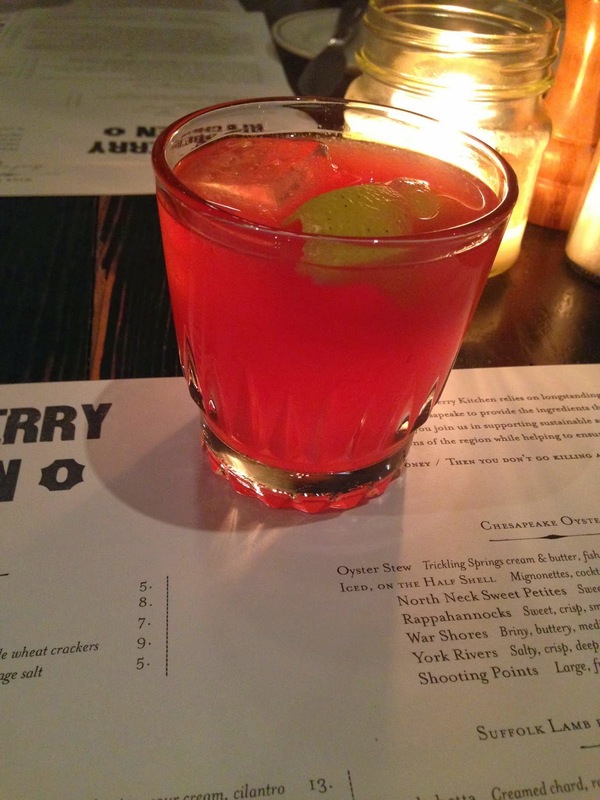 While it's an upscale restaurant in terms of food (and prices), it feels casual and laid-back. There's even a wood-burning fire pit and outdoor bar to hang by while you wait for your table. While I very rarely order cocktails (I'm a beer and wine kinda gal), I was told it was a must here, and I am so glad for that. I tried two different vodka (organic, of course) cocktails that were SO unique and amazing. I'd recommend Woodberry Kitchen to anyone that lives in or travels to Baltimore. SO worth checking out! Now... back to these plums. They do not taste like a cookie dough ice cream sunday, I must admit. However, for a regular 'ol Tuesday night, this is a fantastic dessert idea: easy, fast, healthy, and delicious. Try them, and I bet you'll be surprised at just how tasty these things are. 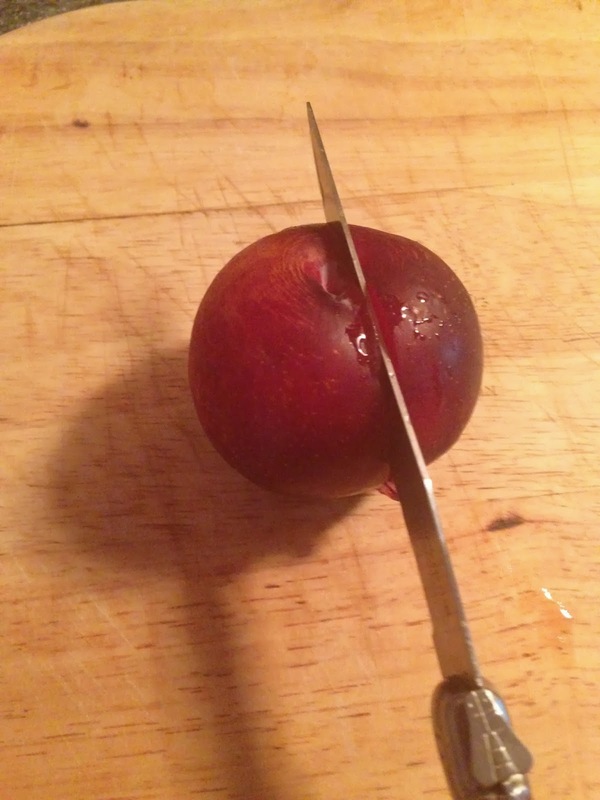 Cut a plum in half lengthwise. Remove the pit, or keep it in and eat around it. Whatever you'd like. 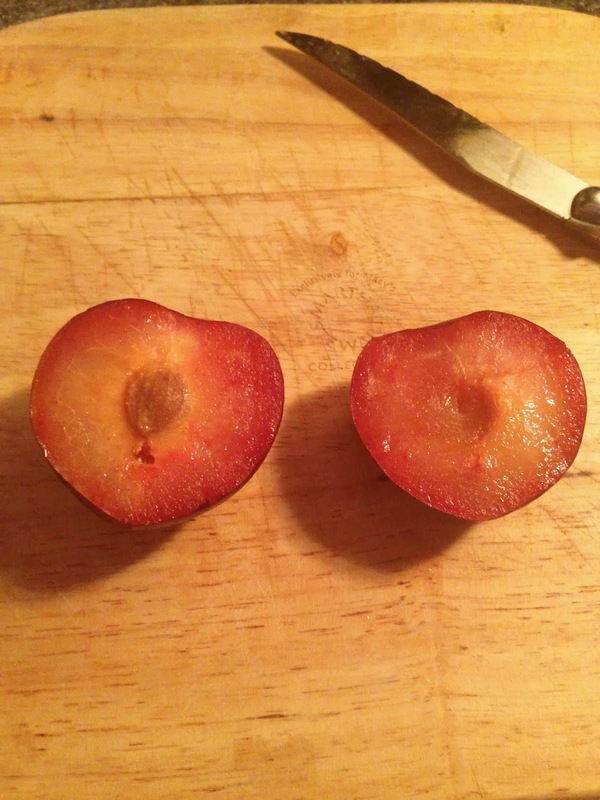 Place the plums cut side up on a baking pan. 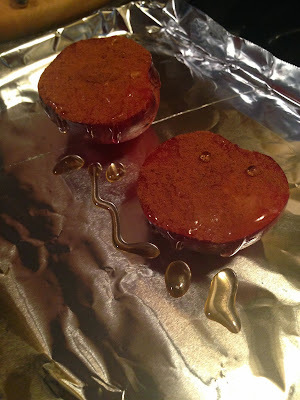 Sprinkle with cinnamon then drizzle with honey. Roast in a 375 degree oven for about 15 minutes, or until the juices start to run a bit. Top with plain greek yogurt and drizzle with additional honey. Then, sprinkle with toasted sliced almonds. Pecans would also be delicious! -Place plum halves cut side up on a baking sheet. Sprinkle liberally with cinnamon. Drizzle with honey. -Roast for about 15 minutes, or until the juices start to run. -Top with plain greek yogurt and drizzle with additional honey. Sprinkle with toasted almonds. Happy belated birthday!!! What an awesome resto. Also I love this recipe. I just picked up a bunch of pluots (plum apricot fusion) that would be perfect for this! And so easy too. Happy lat birthday! Woodberry is one of my favorites. Have been a bunch and took mom there for her bday last year. She loved it, dad on the other hand wold prefer Olive Garden. Ha. If you haven't tried Birroteca yet, you must!